Stuck with dual-core processors due to budgetary constraints? Constant stuttering and low frame-rates in the latest games holding you back from your true potential? 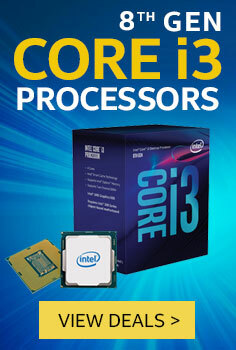 Intel’s first ever quad-core Core i3 CPUs have arrived, making 4 cores the bare minimum! 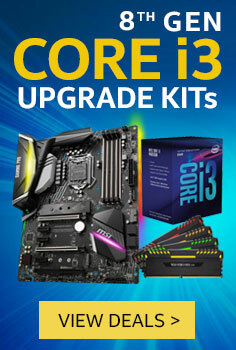 Evetech’s brand-new range of Gaming PCs is equipped with an Intel Core i3 CPU and the very best of GPUs – providing a reliable gaming experience that cannot be replicated at this price point! Four physical cores mean a whopping 50% more performance compared to last generation. Those who need the very best at this price point can’t go wrong with these Gaming PCs. Our builds are crafted with extreme care – making sure your brand-new PC is not only powerful, but is also worthy of being showcased at your gaming station! Gone are the days when a budget Gaming PC came with a host of compromises. No more! 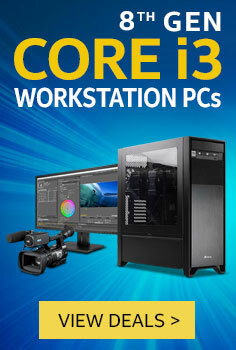 Now, with an Intel Core i3 Gaming PC – kiss limits goodbye – without burning a hole in your pocket. Just whip up your graphics settings and enjoy a smooth, stutter-free gaming experience on these Gaming PCs! Grab your gaming companion and enjoy the latest games in immersive detail – with a smooth, seamless experience.